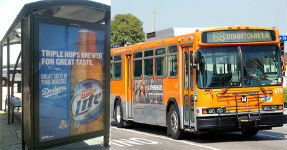 The Budget and Finance Committee of the Los Angeles City Council has unanimously approved a motion brought forth by the Coalition to Ban Alcohol Ads on Public Property. The World Health Organization's World Cancer Report 2014 warns of alcohol consumption's major role in global cancer deaths. Big Alcohol companies have hastened this epidemic by glamorizing alcohol use and obstructing effective policy efforts. Adding to mounting evidence that driving with a blood alcohol level (BAC) under .08 is unsafe, a new UCSD study concludes that there is no safe combination of drinking and driving. Just 6 weeks into the new year, legislative proposals to decrease or eliminate alcohol regulation abound.